I decided to complete my Suunto "Black Collection" with the Observer SR "Black Collection". 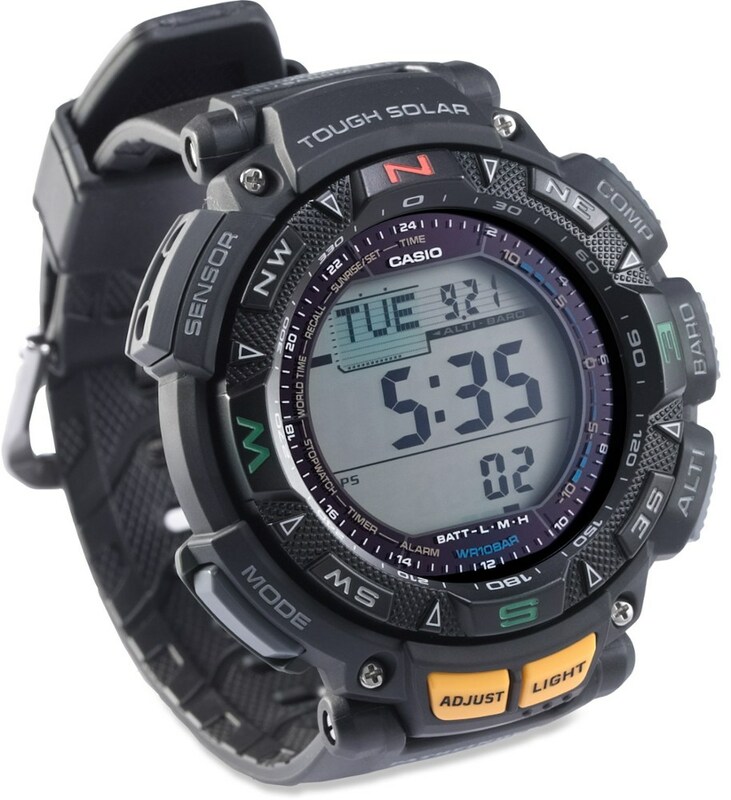 I wanted a smaller more stealth size watch for under my hunting/fishing gear and it had to be tough and have bullet proof reliability. It is a much simpler animal than my X6M and is thinner and smaller. It feels solid on the wrist but could be worn without notice for days. Its stainless steel construction is solid and has just the right amount of weight without feeling heavy. Just like the X6M, the Observer is made and built in FINLAND and it feels like it. Button push is silky smooth and the construction is professional quality. "The Black Collection" This is a special all black collection of ABC watches Suunto came out with in late 2007. It was designed to be a upscale tactical look. The Collection includes The Observer Sr, Observer ST, and X6M. The Observer has a matte black finish on the case. The X6M has a polished black finish on the case. Very tactical bling looking. I absolutely love the look and the wrist presence is awesome!! The pics don't do this watch justice. It marries fine jewelry and tactical tech perfectly. The Observer "Black Collection" has a flat matt finish as oppose to a satin black finish on my X6M "Black Collection". The Observer reminds me of a stealth bomber with its flat angles and matt black finish. Very cool looking. Even though the Observer is smaller than other Suunto models, it still is a 45mm diameter watch case. That is about what most large dive watches measure. It sits lower than most ABC models so it wears smaller than it appears. It still is a large watch and has a lot of wrist presents. The functions of the watch are pretty strait-up and easy to work with if you are a Suunto veteran like myself. A good user manual read through would be necessary if you are not familiar with the Suunto set-up system. The negative display is very easy to read and appears to sit higher up, just under the mineral glass than other models. This makes it easier to see from viewing off angle. The constant second display that travels around the outer face is excellent. I love this feature and it does not disappear after 10 minutes like the Core does. The barometer trend, day, month,year,time,and seconds,AM/PM are all displayed at one time in the main time display. In addition, Alarm notification, Altimeter alarm, log activation and chrono notification can also be displayed in the main time mode in addition to my first list of information. A tremendous amount of information is displayed at a glance. This is what makes the Observer stand out from the rest of the ABC watches. The light on the Observer is excellent. Its lume is very bright and does not flicker in compass mode like the Core. It is activated by holding the "mode" button down for 2 seconds. The light stays on for a generous 10 seconds after the last button push. Water resistant is also excellent at 100meters. In typical fashion, Suunto doesn't recommend diving with their ABC watches but swimming,showering,etc.. is fine. Compass is very good with bearing track feature. 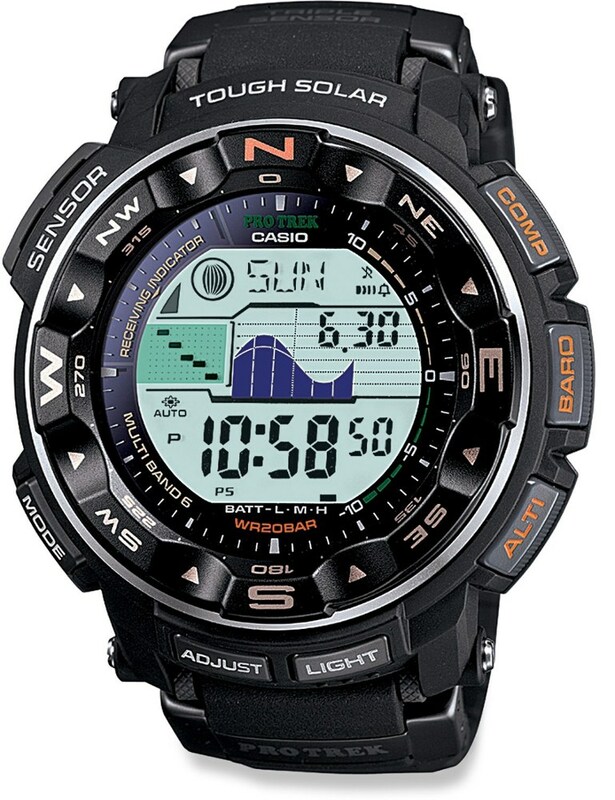 It uses a progress graph as you turn the watch when calibrating like the X6M. Why doesn't Suunto have this on the Core? It is a great feature and should be on ALL Suunto ABC watches. The barometer can also be calibrated globally or use its factory default setting. This is another excellent feature and lets the owner sync the barometer to another ABC watch or weather station. This feature should have also been on the Core. All main displays has the typical sub modes to display the information of your choice. The strap is also another big plus for this watch. Its very comfortable. The flat black rubber strap is flexible and tapers up in thickness to meet the watch case seamlessly. The buckle is also flat black and completes the over all stealth look. I really like the Observer for a "do-it-all, "all occasion" ABC watch. It really is very easy to live with and it is easy to see why this was Suunto's professional flagship model. 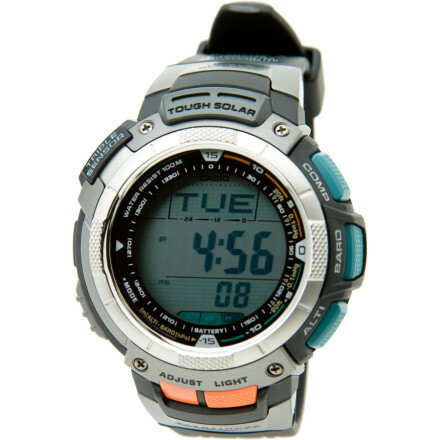 Its also one of the Models Suunto states is "Shock Resistant". Most member will attest it is one of, if not Suunto's toughest models. Its holds up very well to any of the most recent ABC watches and still has a unique personality that sets its self apart from the other Suunto line. 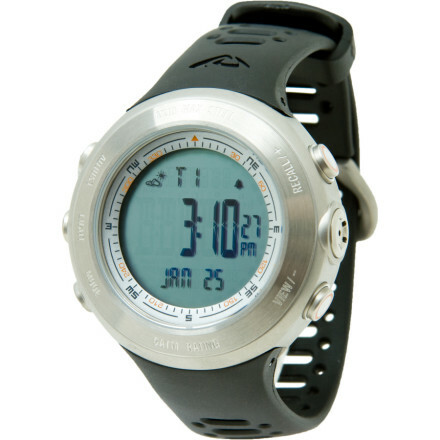 The Observer is the Suunto abc model I am going to recommend to owner that needs, and can only have one Suunto model. It does every thing well and is reliable with bullet proof construction. The Observer has been endorsed by about every one that owns one and I can see why. I think the Observer is one of the best kept secrets in the Suunto catalog. I think the Observer might be another professional abc Suunto model that doesn't get much press. Its "Made in Finland" build quality is excellent. Fit and finish is top shelf. 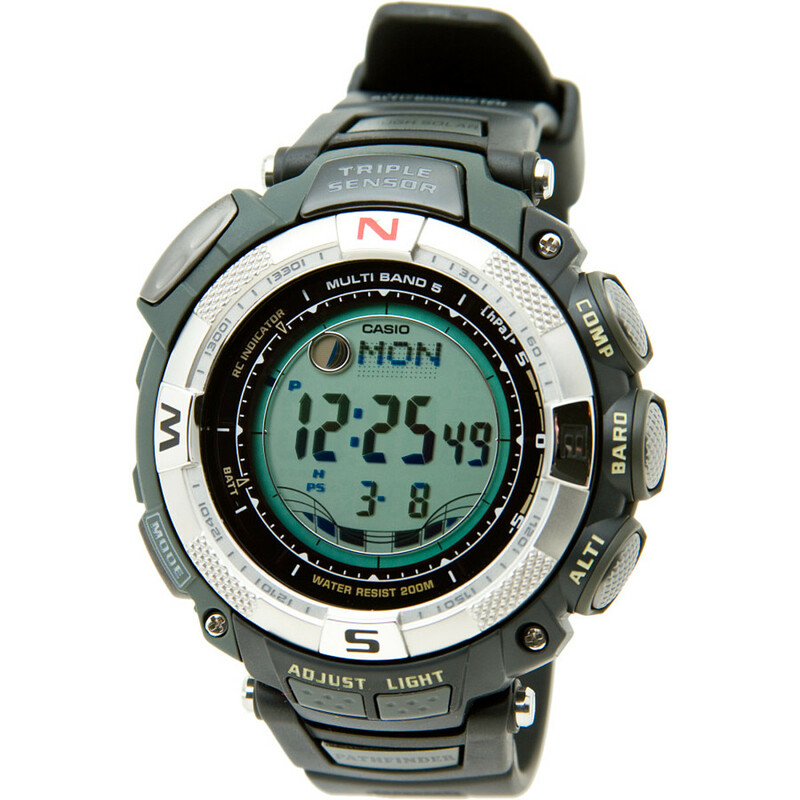 Its just a beautiful Suunto for all occasions and activities. 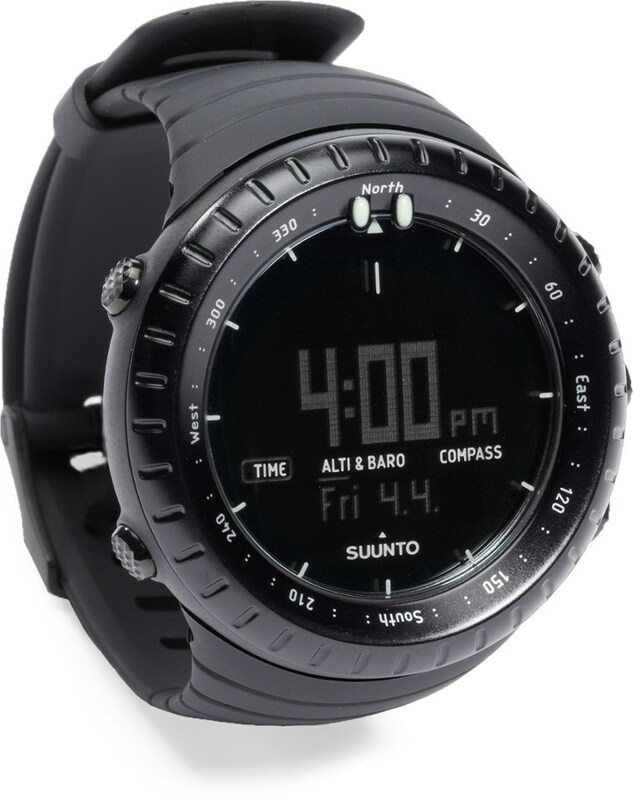 If you only could own 1 Suunto,...This would be it. Love this watch, have worn mine religiously for over 5 years. My band is finally starting to break down, but let it be known that I have been VERY ROUGH on this watch! I would have gone with the 5 but the alarms are a bit weak (they tell you this in the product materials so it wasn't a surprise). If you want a watch you can wear anywhere and still have a cool toy to play with get this one, though you may want to pony up a few more $$ and get the stainless band... it looks cooler. I bought the Suunto Observer about 4 years ago and it is still going strong. I have replaced the battery twice during that period, which is normal for these watches. I'm in the military and the compass, thermometer, and altimeter have been valuable tools on numerous occasions. You need to account for your own body temperature when using the thermometer while the watch is on your wrist (maybe subtract around 10 degrees). The compass is dead on once it has been declinated. The only reason I gave this watch four stars instead of five is because the pins for the wristband are pretty weak. The wristband has probably been ripped off three times and I got so tired of fixing it, that I turned it into a pocketwatch while in Iraq. I now have the SS band (started with the plastic one) and it makes the watch look so much better. It's also stronger than the plastic/rubber band. However, you'll need to take the band into an actual jeweler to have it put on if it ever comes off. My favorite thing about this watch is that I can truly wear it anywhere whether on a trail run, in the field, or at a casual dinner. It looks sharp and functions in a variety of environments. 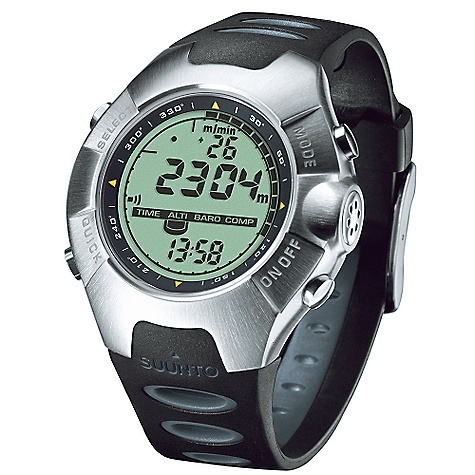 The Suunto Observer is not available from the stores we monitor. It was last seen October 30, 2012	at Moosejaw.